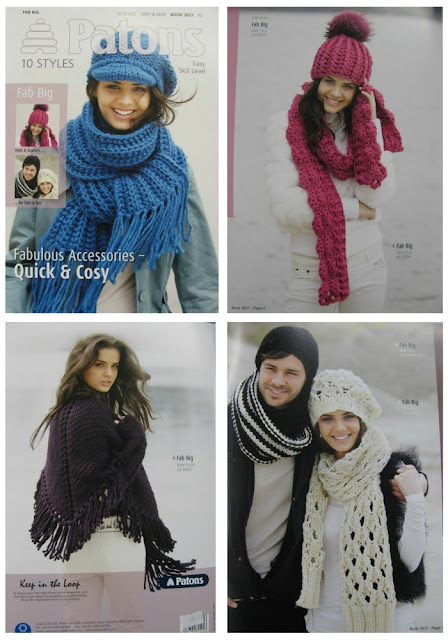 We now have in the shop a super chunky acrylic and a FABulous pattern book with 10 accessories (knit & crochet). 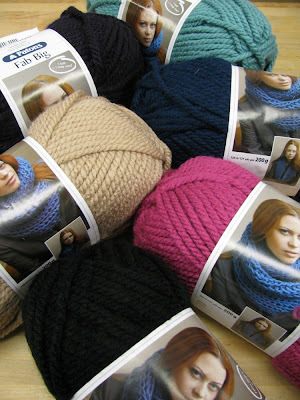 Quick and easy patterns, great for beginners, gifts, quick gratification and something cosy! The scarves take 2 balls, the wrap only 3 and the hats and mitts take only 1. There is even a scarf pattern on the ball band too which Karen is knitting just now.